The Walt Disney Company clearly sees its future in direct to consumer services. After the acquisition of 21st Century Fox, Disney now owns a 60 per cent share in Hulu (Comcast owns 40 per cent) and it already has ESPN Plus, which was launched in 2017. At its investor meet last week, the $59.43 billion media giant announced the rollout of the much awaited Disney Plus in the US on November 12 this year. Disney Plus will be priced at $69.99 per year and will have all Disney, Pixar and Star War films, most of the Marvel movies and content from National Geographic on a single platform. It hopes to be profitable by 2024, with a user base between 60-70 million and two-thirds of its revenue coming from outside of the US. Disney is investing close to $1 billion on original content for Disney Plus in the financial year 2020. In the first year, Disney Plus will have over 25 original episodic series and more than 10 movies and specials. It will have over 7,500 older shows and more than 100 movies. Christine McCarthy, CFO, Walt Disney, said the company would be investing heavily on other platforms such as ESPN Plus and Hulu as well. "Our mission is to provide consumers with the content they want and on the devices they use," said Kevin Mayer, Chairman, Direct to Consumer, The Walt Disney Company. "We will launch Disney Plus in every possible market over time; we are also evaluating launch of Hulu in other markets," he added. Mayer, however, is particularly excited about the company's newest OTT platform Hotstar, which became part of the Walt Disney bouquet, after it acquired 21st Century Fox. Hotstar, in fact, is the largest platform in the Walt Disney ecosystem with 300 million active users. Hulu has 25 million paid subscribers, while ESPN Plus has 2 million paid subscribers. As opposed to Hulu and ESPN Plus, Hotstar is largely an ad-driven, free platform. Star's head honcho, Uday Shankar, now designated as President, The Walt Disney Company, Asia Pacific and Chairman, Star & Disney India, in his address at The Walt Disney Company's investor meet, said, "When everyone was dismissing India as a data dark market, we anticipated impending shifts and built Hotstar. It accounts for 40 per cent of all long-form digital video consumption." Shankar claimed Star India captures 30 per cent share of TV advertising as well as 30 per cent share of digital video advertising. It also takes a 40 per cent share of all TV affiliate revenues. "Our goal is to improve this share further with a cross screen advertising engine. A key goal is to enhance viewer engagement. Hotstar is arguably more advanced in engagement initiatives than any other service in India. These include gamification of content, social experience around video and even allowing in-app transactions. 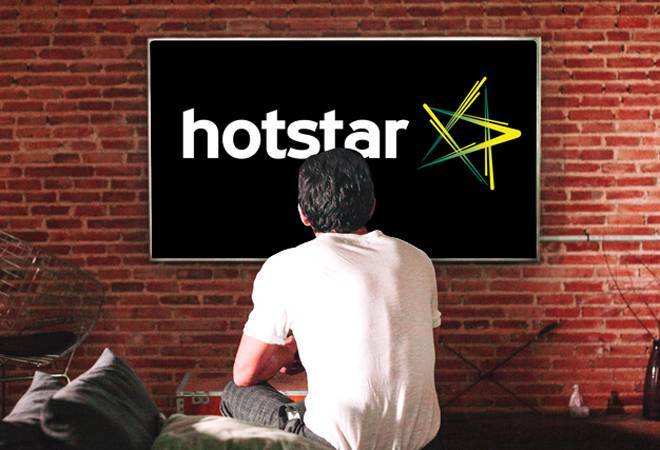 As a result, an active viewer spends 2.7 times more time on Hotstar than a passive viewer." Shankar also talked about Star's plan of producing original content in order to ensure stickiness of its premium consumers. Hotstar has been late in coming up with original content, while its competitors Netflix and Amazon Prime Video are spending crores on original content in India. "We believe that the Indian market is now ready for a subscription push, and hence, we are getting ready to use Hotstar's massive scale as an A-ward platform to establish compelling S-ward service for the top-end of our consumers. This is driven by premium content and easy transaction experience." The Walt Disney Company hasn't had a particularly successful run in India despite being in the market for close to two decades. With Star India becoming a part of its family now, it will hope to see a massive scale in the coming years.